2017 was a year of long visualized, creative realizations for our Calling All Poets Series. 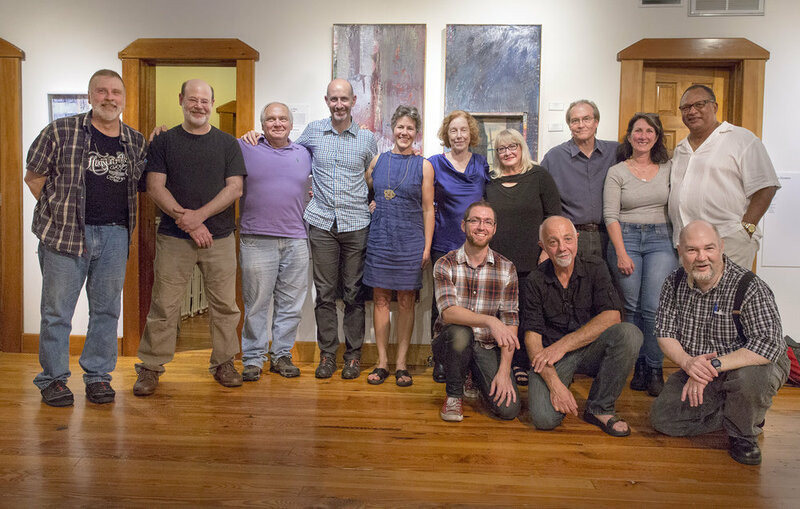 And I’d like to take a few moments recounting them and hopefully give you all an idea what the future holds for the Hudson Valley’s longest running poetry performance series. In August, after being rent chased from Beacon after nearly sixteen years, we celebrated the start of our second full year at Roost Studios and Art Gallery in New Paltz. But oddly, and perhaps in an ironic twist only the creative muses could perpetrate, it was Beacon, at Quinn’s Resturant, that welcomed us back to CAPS hometown with two (February and July) SRO, trailblazing performances of Jazzoetry, a vibrant and visceral fusion of jazz, poetry, and rhythm and blues. Special thanks to all at Quinn’s, especially Che Pizaro, Tom Schmitz, George Spafford, and James Keepnews. Featuring six of the Valley’s truly gifted and incomparable jazz players, the Jazzoetry Quartet - bassist Robert Kopec, piano/keyboardists Joe Tranchina and Neil Alexander, sax and reeds man Eric Person and soundscapist Dean Sharp and drummer T. Xiques - laid down the groove, the swing, the funk and the ska behind Dutchess County Poet Laureate Poet Gold, Suffolk County Poet Laureate George Wallace, CAPS stalwarts Jim Eve, Glenn Werner, Penny Brodie, (host of WVKR’s Mingus Moments and widow to the Valley’s own jazz legend and mentor Hugh Brodie) Terence Chiesa; special guests Rev. Evelyn Clarke, Esther Taylor Evans; American Songbook stylist and Executive Director of the Maverick Chamber Concerts Kitt Potter (Kitt’s been instrumental and an invaluable source of energy for much of CAPS recent activity) and many diverse open mic’ers. Then, on October 31st, with the full exuberance of Tony Falco at The Falcon in Marlboro, CAPS presented JazzQuerade, a Halloween-themed revue that had Kopec, Tranchina, and T. Xiques returning as a trio to support Kitt singing “I Put A Spell On You” and “Witchcraft” among others, Poet Gold, Westchester’s own musical gift and creative arts mogul Steve Worthy, Lady Esther Gin, actor/storyteller Steve Jones, and a reunion of the poetry, politics ’n pathos mid-90’s duo New Nervous Voice (actually Steve Worthy and your humble narrator.) Watch the CAPS website - www.callingallpoets.net - for future Jazzoetry dates. And while we’re recapping CAPS triumphant return to Beacon, June began CAPS run on the Towne Crier Cafe’s Main Street Stage for a monthly program entitled #wordsmusicdialogue, a strikingly new twist on the traditional poetry reading/open mic format. Featuring two writers and one singer/songwriter (the past six programs have highlighted such names as Emmy and Golden Globe nominee and novelist John Leonard Pielmeier, memoirist Dara Lurie, award winning poets Mary Makofske, Roger Aplon, and Nepalese poet Yuyutsu Sharma; Beacon Poet Laureate Tony Pena, and singer/songwriters RoseAnne Fino, Kurt Henry, Marc Von Em, Judith Tulloch, Jim Coyle, and Slambovia’s own Joziah Longo) Each artist performs for thirty minutes then discusses their art and craft with an audience always ready with questions. Special thanks to Phil Ciganer, Vickie Rabin, and Robert Phillips for making this unique performance/salon a success. Sullivan Counties. We want to hear from you. Your voice matters as much, if not more so, then any so called Presidential tweet. Let’s make it happen. Back to New Paltz at Roost Studios and poetry marathons featuring several professors and their students from SUNY New Paltz. Props to Creative Writing Director Pauline Uchmanowicz, Lecturer Larry Carr, and Professor Jan Schmidt for their continued support. 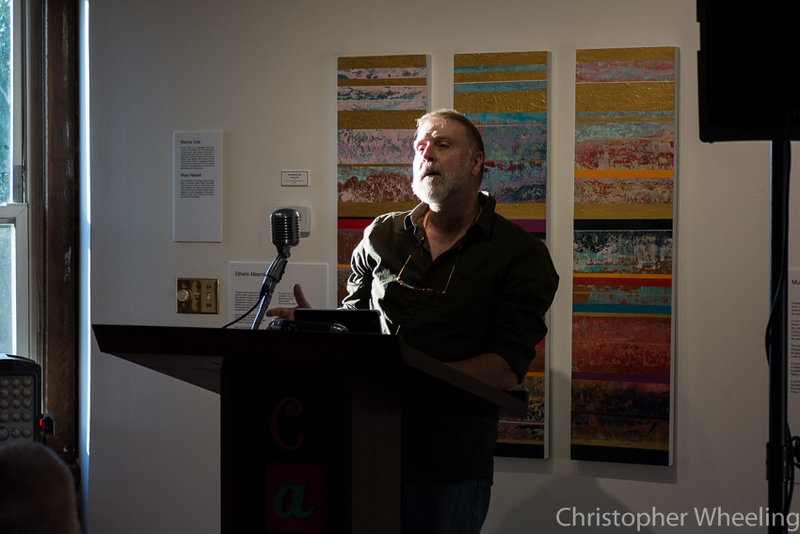 In May, globally admired poet and retired Vassar professor Eamon Grennan, inaugurated The CAPS Masters Series with a brilliant and compelling evening of poetry and discussion.ARToetry, The Ekphrasis Exhibit - debuted in September. A visual/poetic collaboration between CAPS and Roost Studios, spotlighting ten members from each ascendant organization working together to create a fuller discussion of the creative process and exchange of ideas. Marcia Cole, David Wilkes, Louisa Finn, Mary Newell, Tom Delooza, were just some of the participants. 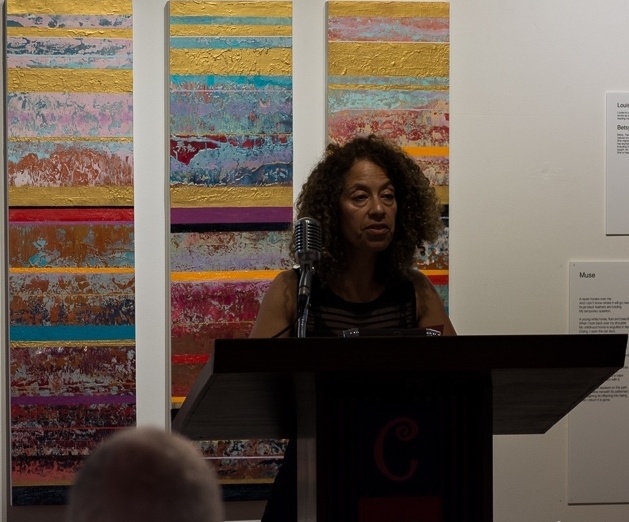 The Ekphrasis Exhibit has long been an idea that our VP, Glenn Werner had envisioned, and we would like to thank Roost Director Marcy Bernstein for being open to and genuinely excited by the idea and seeing it through. ARToetry - The Ekphrasis Exhibit book will be available by early 2018 through CAPS Press. While we’re all concerned about the cruel and crude de-evolution of America’s heart and soul, when your family and community reaches from Brooklyn to Albany, Pennsylvania, New Jersey, and Massachusetts, there is bound to be, despite the many successes shared and mentioned previously, some glitch, some disappointments. 2017 had a couple of those for CAPS, but we look forward to 2018 to unify our voices to create the unity our country needs now more than ever. After all, if we can’t talk to each other, how do we speak to, and for, the greater whole?